In a Related List, if the first field is a Lookup field, the field component is not rendered (blank value). This behavior only occurs when using the Lightning UI and Communities that use the Lightning UI (e.g. Napili, Koa, Kokua). While in Lightning, when picklist fields have a lot of values and it requires you to scroll, the entire screen will scroll as well. Spring '17 Visualforce Pages appearing in Lightning when not flagged to do so. In Spring 17, Visualforce being used on record detail pages A are visible in Lightning Experience and other Lightning based apps, such as Communities even if they have not been flagged to be visible. It still works correctly for Mobile Apps. 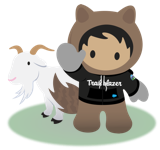 In an external object report, where the external data source is of type "Salesforce Connect: OData 2.0", then any reports that contain an external object as the secondary object and have a report filter in them will result into an error.